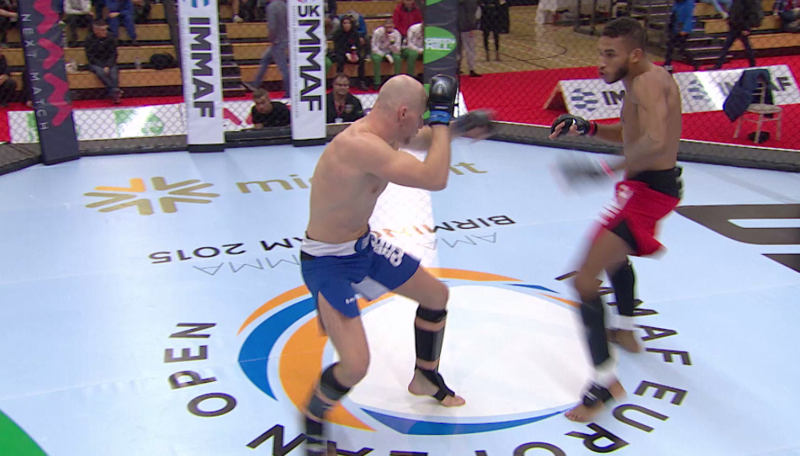 IMMAF 2015 European Open Championships Highlights: Men's Light Heavyweight and Heavyweight Division Nov 22, 2015 (59:12) Highlighted bouts from the IMMAF 2015 European Open Championships: Men's Light Heavyweight and Heavyweight Division tournaments, featuring the final between Irman Smajic of Sweden vs Daniel Galabarov of Bulgaria. November, 2015 in Birmingham, UK. 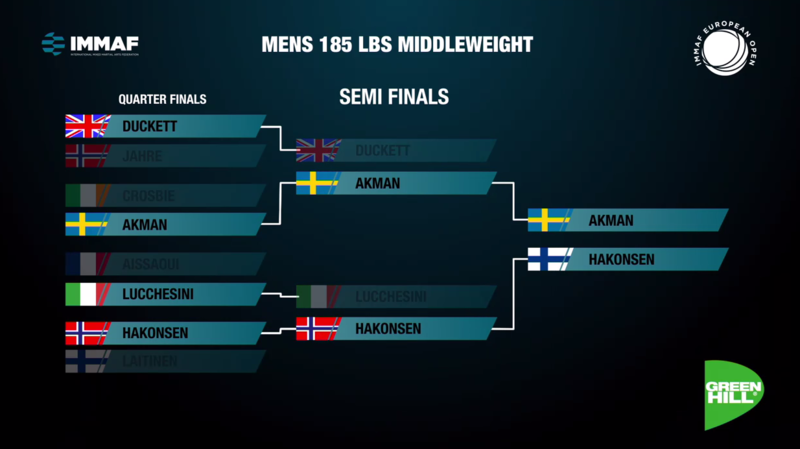 IMMAF 2015 European Open Championships Highlights: Men's Middleweight Division Nov 22, 2015 (57:58) Highlighted bouts from the IMMAF 2015 European Open Championships: Men's Middleweight Division tournament, featuring the final between Rostem Akman of Sweden vs Marius Hakonsen of Norway. November, 2015 in Birmingham, UK. 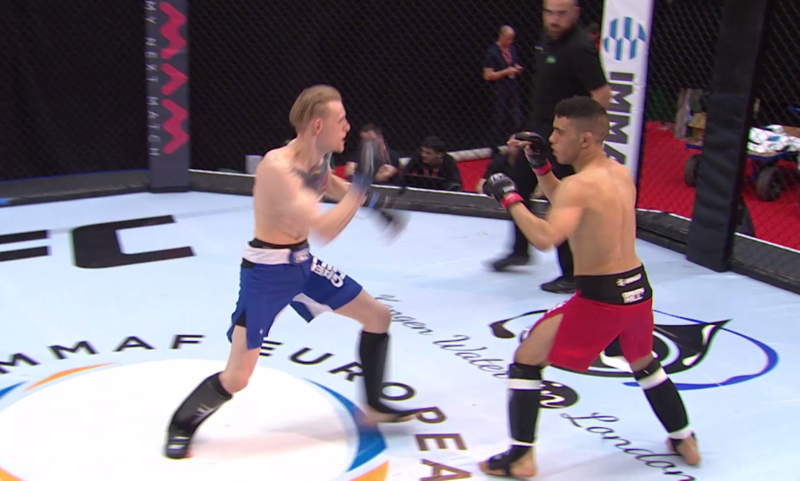 IMMAF 2015 European Open Championships Highlights: Men's Lightweight Division Nov 22, 2015 (52:23) Highlighted bouts from the IMMAF 2015 European Open Championships: Men's Lightweight Division tournament, featuring the final between Jack Shore of United Kingdom vs Geri Kare of Norway. November, 2015 in Birmingham, UK. 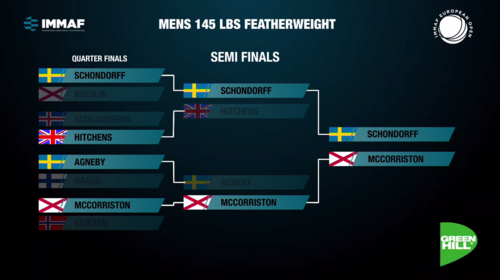 IMMAF 2015 European Open Championships Highlights: Men's Featherweight Division Nov 22, 2015 (54:04) Highlighted bouts from the IMMAF 2015 European Open Championships: Men's Featherweight Division tournament, featuring the final between Joel Moya Schondorff of Sweden vs Ross Mcmorriston of North Ireland. November, 2015 in Birmingham, UK. 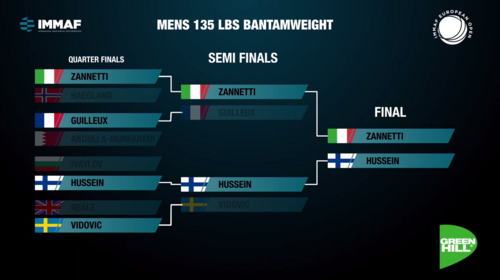 IMMAF 2015 European Open Championships Highlights: Men's Bantamweight and Flyweight Division Nov 22, 2015 (1:00:28) Highlighted bouts from the IMMAF 2015 European Open Championships: Men's Bantamweight and Flyweight Division tournaments, featuring the final between Marco Zannetti of Italy vs Abdul Hussein of Finland. November, 2015 in Birmingham, UK. 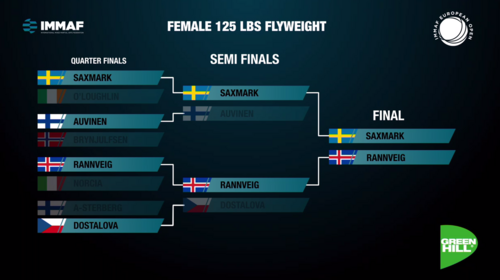 IMMAF 2015 European Open Championships Highlights: Women's Flyweight Division Nov 22, 2015 (58:24) Highlighted bouts from the IMMAF 2015 European Open Championships: Women's Flyweight Division tournament, featuring the final between Sunna Rannveig of Iceland vs Anja Saxmark of Sweden. November, 2015 in Birmingham, UK. 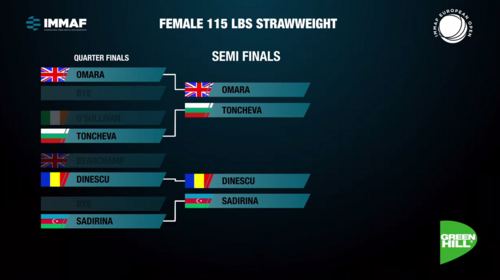 IMMAF 2015 European Open Championships Highlights: Women's Strawweight Division Nov 22, 2015 (49:12) Highlighted bouts from the IMMAF 2015 European Open Championships: Women's Strawweight Division tournament, featuring the final between Aleksandra Toncheva of Bulgaria vs Raluca Dinescu of Romania. November, 2015 in Birmingham, UK. 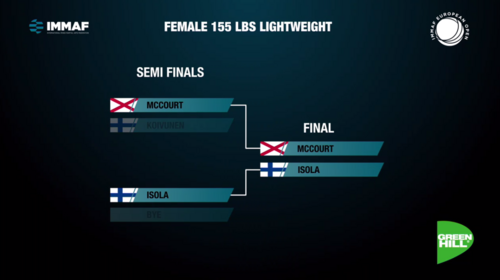 IMMAF 2015 European Open Championships Highlights: Women's Featherweight and Lightweight Division Nov 22, 2015 (52:00) Highlighted bouts from the IMMAF 2015 European Open Championships: Women's Featherweight and Lightweight Division tournaments, featuring the final between Leah McCourt of Northern Ireland vs Miia Isola of Finlad. November, 2015 in Birmingham, UK. 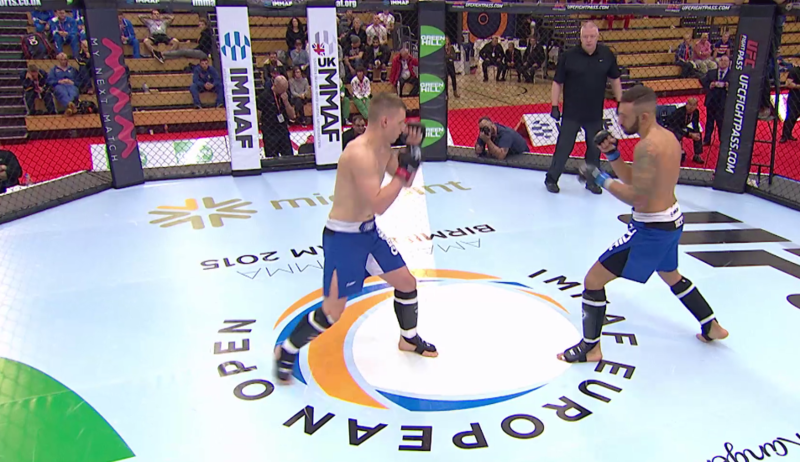 IMMAF 2015 European Open Championships Highlights: Female Bantamweight Division Nov 22, 2015 (52:46) Highlighted bouts from the IMMAF 2015 European Open Championship's Female Bantamweight Division tournament, featuring the final between Gabriella Ringblom of Sweden vs Varpu Rinne of Finland. November, 2015 in Birmingham, UK. 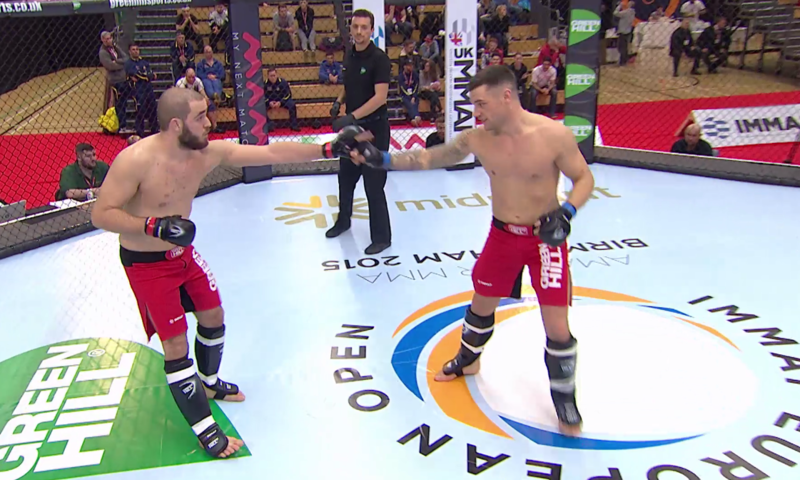 IMMAF Championships 2015: Part 4 Sep 9, 2015 (1:01:51) Check out the 2015 IMMAF Championships from UFC International Fight Week. IMMAF Championships 2015: Part 3 Sep 9, 2015 (1:01:32) Check out the 2015 IMMAF Championships from UFC International Fight Week. IMMAF Championships 2015: Part 2 Sep 9, 2015 (59:53) Check out the 2015 IMMAF Championships from UFC International Fight Week. 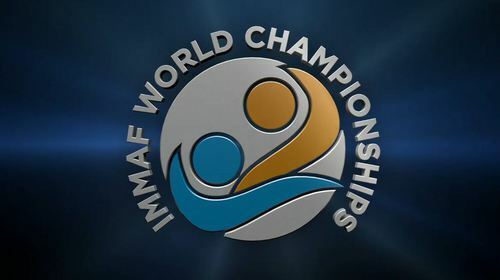 IMMAF Championships 2015: Part 1 Sep 9, 2015 (58:38) Check out the 2015 IMMAF Championships from UFC International Fight Week. 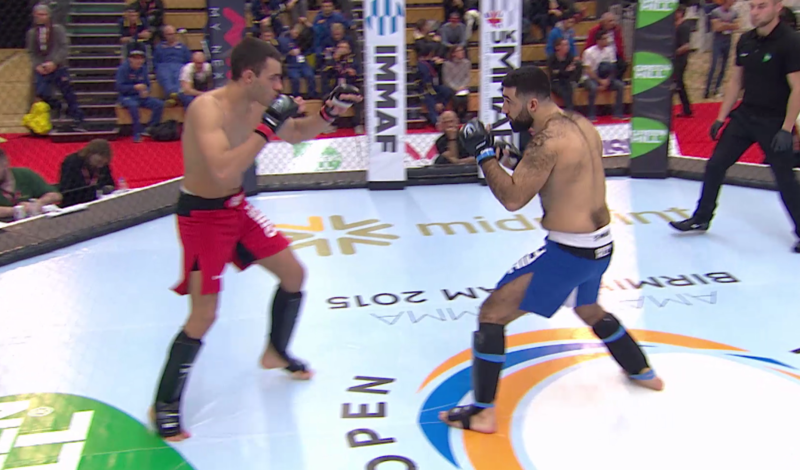 Balazs Kiss vs Robin Enontekio IMMAF 2015 European Open Championships, Day 1 Nov 19, 2015 (13:30) Balazs Kiss (Hungary) vs Robin Enontekio (Sweden) at IMMAF 2015 European Open Championships, Day 1 from November 19, 2015 in Birmingham, UK. 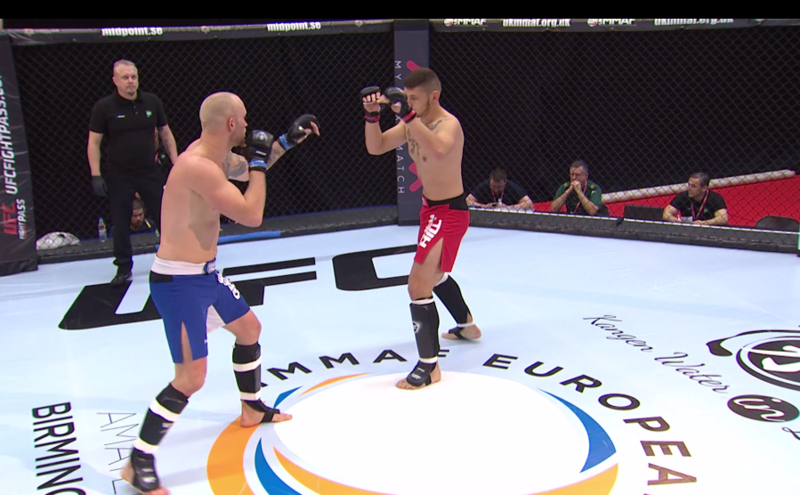 Tomi Borisov Krasimirov vs Ryan Barby IMMAF 2015 European Open Championships, Day 1 Nov 19, 2015 (14:05) Tomi Borisov Krasimirov (Bulgaria) vs Ryan Barby (UK) at IMMAF 2015 European Open Championships, Day 1 from November 19, 2015 in Birmingham, UK. 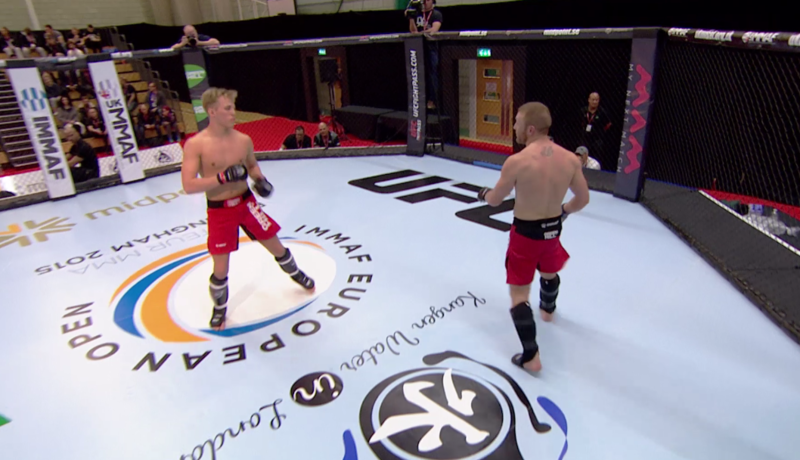 Bjarki Omarsson vs Bobby Sheppard IMMAF 2015 European Open Championships, Day 1 Nov 19, 2015 (8:55) Bjarki Omarsson (Iceland) vs Bobby Sheppard (Northern Ireland) at IMMAF 2015 European Open Championships, Day 1 from November 19, 2015 in Birmingham, UK. 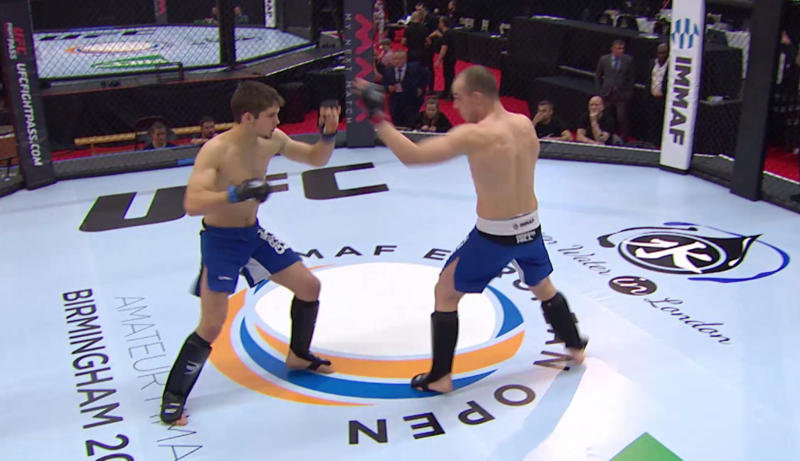 Rostem Akman vs Kiril Tsonev IMMAF 2015 European Open Championships, Day 1 Nov 19, 2015 (8:41) Rostem Akman (Sweden) vs Kiril Tsonev (Bulgaria) at IMMAF 2015 European Open Championships, Day 1 from November 19, 2015 in Birmingham, UK. 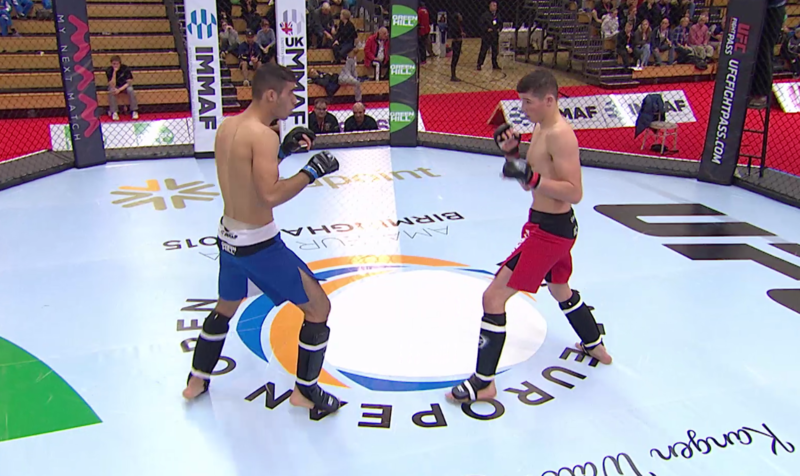 Kiefer Crosbie vs Perparim Salihu IMMAF 2015 European Open Championships, Day 1 Nov 19, 2015 (5:16) Kiefer Crosbie (Ireland) vs Perparim Salihu (Finland) at IMMAF 2015 European Open Championships, Day 1 from November 19, 2015 in Birmingham, UK. 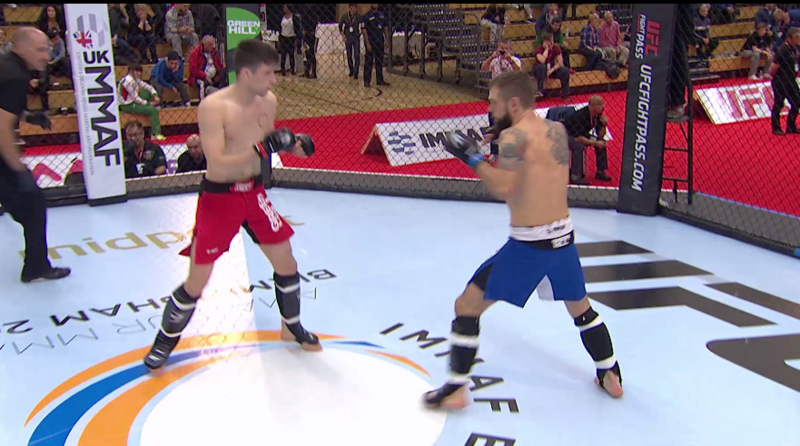 Ole Johnny Eriksen vs Alberto Chiappi IMMAF 2015 European Open Championships, Day 1 Nov 19, 2015 (14:08) Ole Johnny Eriksen (Norway) vs Alberto Chiappi (Italy) at IMMAF 2015 European Open Championships, Day 1 from November 19, 2015 in Birmingham, UK. Ross McCorriston vs Ben Fouladi IMMAF 2015 European Open Championships, Day 1 Nov 19, 2015 (14:04) Ross McCorriston (N. Ireland) vs Ben Fouladi (Canada) at IMMAF 2015 European Open Championships, Day 1 from November 19, 2015 in Birmingham, UK. 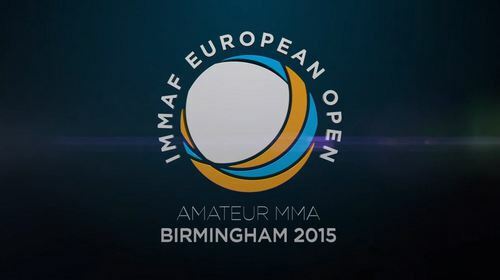 Ante Agneby vs Aidan James IMMAF 2015 European Open Championships, Day 1 Nov 19, 2015 (8:28) Ante Agneby (Sweden) vs Aidan James (UK) at IMMAF 2015 European Open Championships, Day 1 from November 19, 2015 in Birmingham, UK. 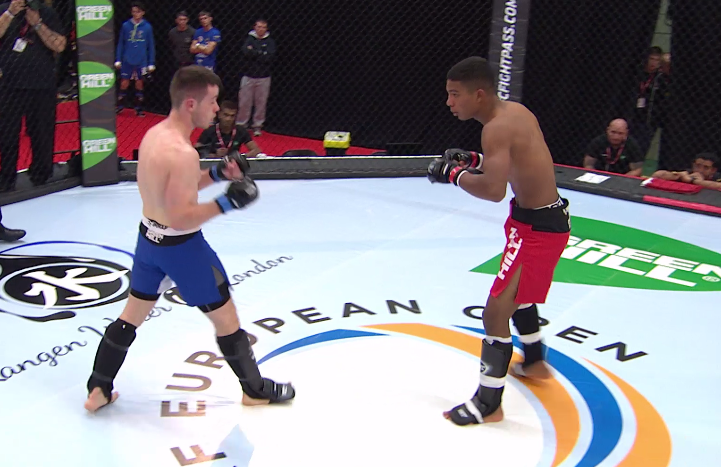 Connor Hitchens vs Filipe Catanho IMMAF 2015 European Open Championships, Day 1 Nov 19, 2015 (4:54) Connor Hitchens (UK) vs Filipe Catanho (Portugal) at IMMAF 2015 European Open Championships, Day 1 from November 19, 2015 in Birmingham, UK. 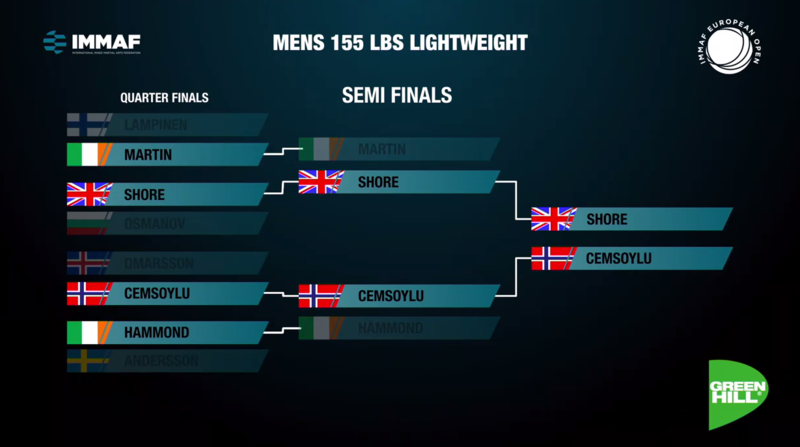 Ciaran Breslin vs Isa Mohammed Ameeri IMMAF 2015 European Open Championships, Day 1 Nov 19, 2015 (14:06) Ciaran Breslin (N. Ireland) vs Isa Mohammed Ameeri (Bahrain) at IMMAF 2015 European Open Championships, Day 1 from November 19, 2015 in Birmingham, UK. Joel Moya Schondorff vs Joel Arolainen IMMAF 2015 European Open Championships, Day 1 Nov 19, 2015 (13:22) Joel Moya Schondorff (Sweden) vs Joel Arolainen (Finland) at IMMAF 2015 European Open Championships, Day 1 from November 19, 2015 in Birmingham, UK. 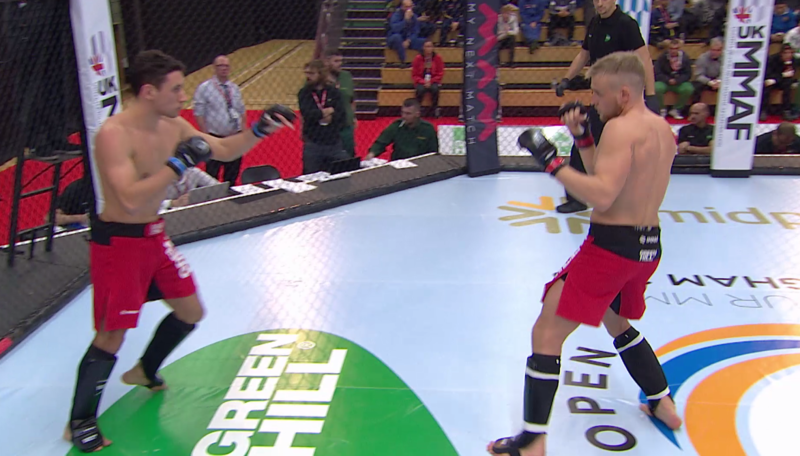 Abdul Hussein vs Daniel Moeller IMMAF 2015 European Open Championships, Day 1 Nov 19, 2015 (8:54) Abdul Hussein (Finland) vs Daniel Moeller (Germany) at IMMAF 2015 European Open Championships, Day 1 from November 19, 2015 in Birmingham, UK. 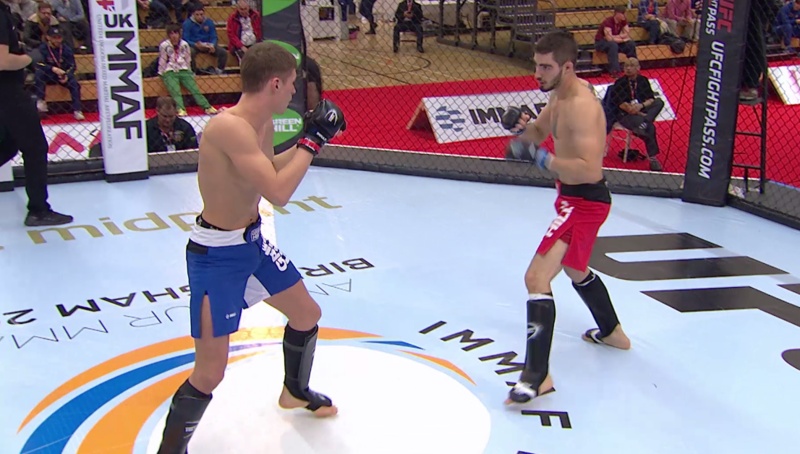 Bjarki Thor Palsson vs Lukas Licht IMMAF 2015 European Open Championships, Day 1 Nov 19, 2015 (6:51) Bjarki Thor Palsson (Iceland) vs Lukas Licht (Germany) at IMMAF 2015 European Open Championships, Day 1 from November 19, 2015 in Birmingham, UK. 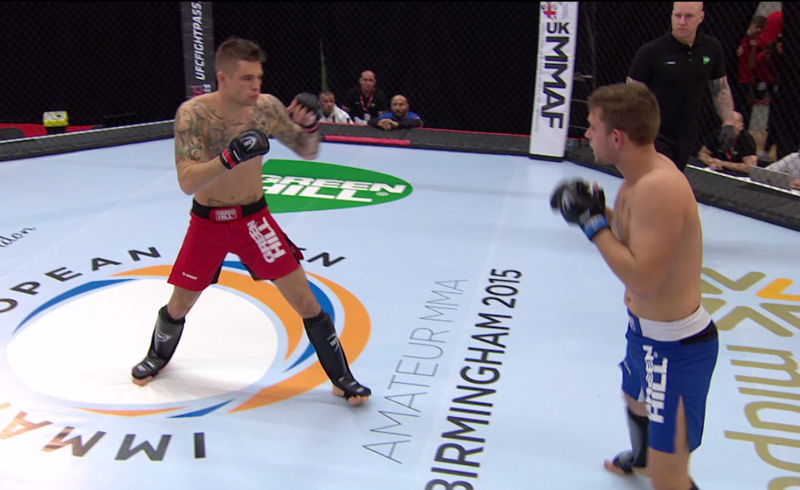 Christophe Choteau vs Axel Karlsson IMMAF 2015 European Open Championships, Day 1 Nov 19, 2015 (14:42) Christophe Choteau (France) vs Axel Karlsson (Sweden) at IMMAF 2015 European Open Championships, Day 1 from November 19, 2015 in Birmingham, UK. 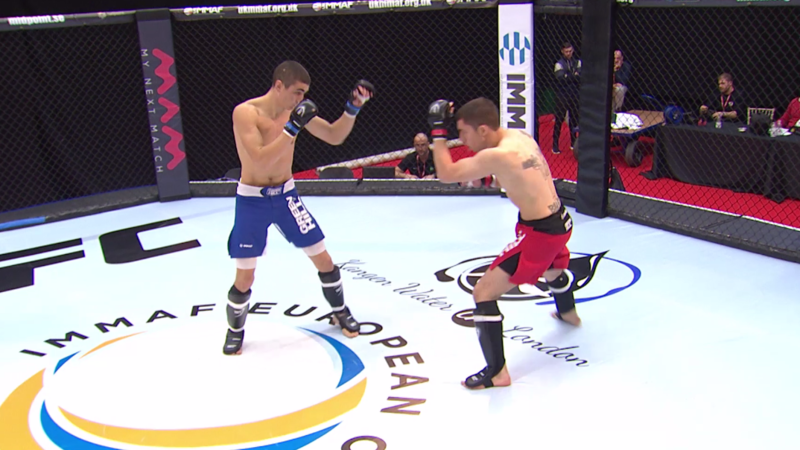 Lupu Ion vs Tomas Fiala IMMAF 2015 European Open Championships, Day 1 Nov 19, 2015 (6:29) Lupu Ion (Romania) vs Tomas Fiala (Czech Republic) at IMMAF 2015 European Open Championships, Day 1 from November 19, 2015 in Birmingham, UK. 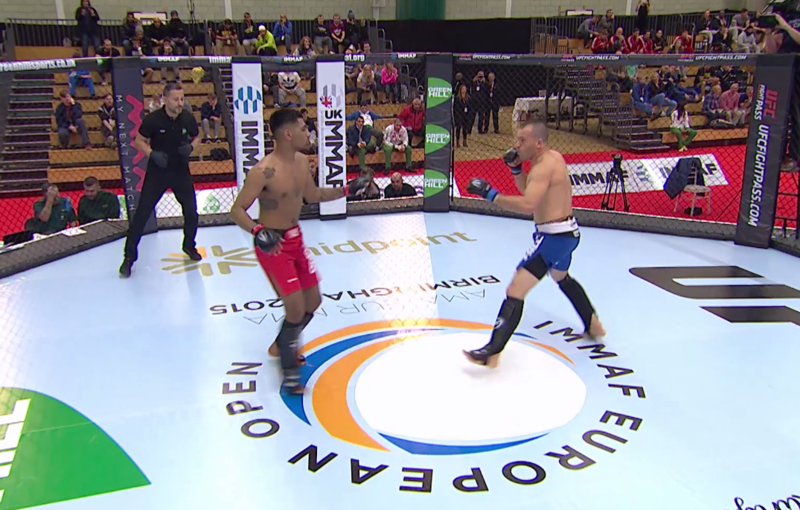 Hardeep Rai vs Carlos Santos IMMAF 2015 European Open Championships, Day 1 Nov 19, 2015 (3:52) Hardeep Rai (UK) vs Carlos Santos (Portugal) at IMMAF 2015 European Open Championships, Day 1 from November 19, 2015 in Birmingham, UK. 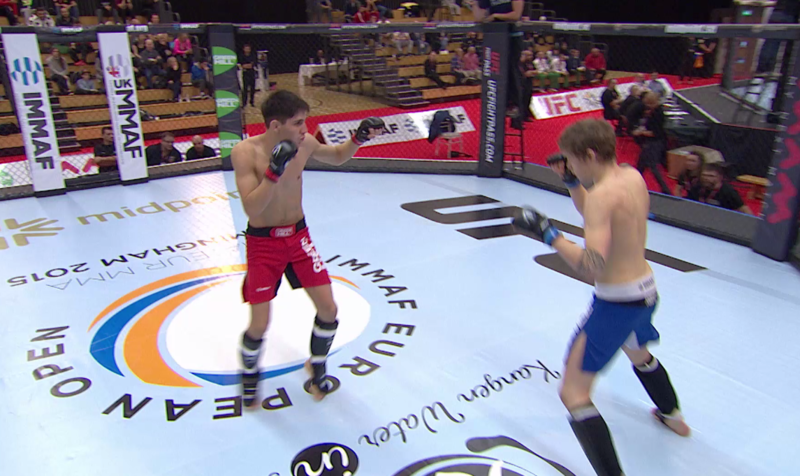 Oskar Karlstrom Biller vs Chaker Alouni IMMAF 2015 European Open Championships, Day 1 Nov 19, 2015 (3:01) Oskar Karlstrom Biller (FR) vs Chaker Alouni (Swe) at IMMAF 2015 European Open Championships, Day 1 from November 19, 2015 in Birmingham, UK.